Hemisphere GPS has launched its XF102 DGPS receiver, the latest addition to the company’s XF-Series of differential GPS receivers for handheld mapping. The XF102 is specifically designed to work with the TDS Nomad handheld GIS data collection device. The XF102 has a rugged smart antenna and Compact Flash. Hemisphere also recently introduced the A220 and A221 smart antennas. Housed in rugged, portable all-in-one enclosures,antennas deliver centimeter-level positioning accuracy for precise guidance, machine control, and survey applications, according to the company. Combining Hemisphere GPS’ Eclipse dual-frequency receiver and antenna technology with optional radio modem, the A220 and A221 are capable of supporting RTK, SBAS, and OmniSTAR HP/XP corrections. Powered by Hemisphere GPS’ Crescent receiver technology, it offers the positioning accuracy required for applications such as GIS mapping. Additionally, the XF102’s fast start-up and reacquisition times significantly improve field work efficiency, according to the Calgary, Alberta, Canada–based company. The receiver supports satellite-based augmentation system (SBAS) differential corrections and Hemisphere GPS’ exclusive e-Dif extended differential option. Also, if the receiver temporarily loses the differential signal, Hemisphere GPS’ COAST technology reportedly maintains accuracy for up to 40 minutes. 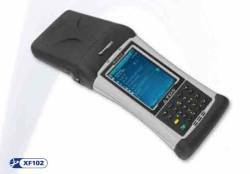 Hemisphere GPS has also announced that a custom version of the unit will be offered to the GIS data collection market as the Kenaz DGPS receiver by Lidköping , Sweden–based Handheld Group.